So like so many things at the moment, this post is late, nearly a fortnight later than it should have been but as I said life got in the way and this virus just doesn't seem to want to shift. Never mind over the last couple of days I've started to get back into the social media thing again, I've filmed 5 You Tube videos, and I've been editing photos and doing lots of blog planning and research. Some of the videos that I filmed were my What I Got For Christmas videos, I know they aren't to everyone's taste but a lot of people seem do seem to like them and do seem to share my nosey side. I've already upload the first video which is all about beauty (click here to watch it) and over the next couple of days I'll be uploading another two featuring fashion and accessories, and home and lifestyle. Compared to previous years I didn't get a lot of beauty products this time round, and I'm fine with that. I didn't really ask for anything beauty related and unusually for me I didn't stock up on any of The Body Shop festive lines, and I didn't even get the 2017 Soap & Glory Star Gift. Putting it simply I'm finally realising that I really do have more than enough to be going on with, I have loads of shower gels, and body lotions, and skincare, make up and nail polishes, and quite frankly I don't really need any more. Yes I did buy a few beauty bits in the sales but to be honest, I can't see myself splurging unnecessarily on beauty bits in the foreseeable future. 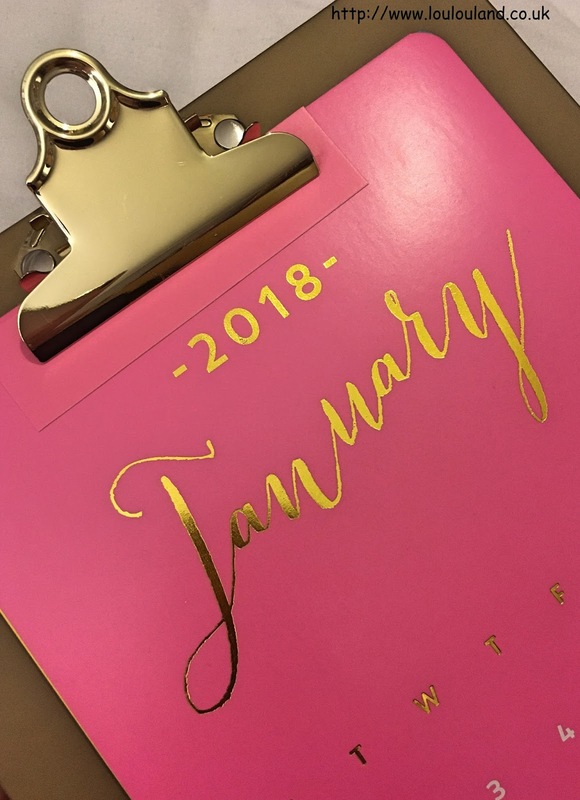 I'm not saying I'm not going to buy anything beauty related but I'm certainly going to be a bit more selective in 2018 about what I do buy, and of course I'm going to concentrate on using up the products that I already own. 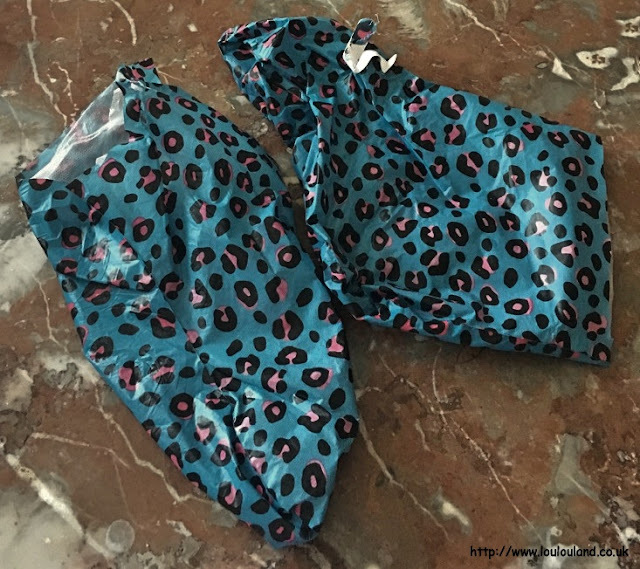 Which brings me on to the whole point of this post, December 2017's Trimming My Stash, it wasn't the best of months but I still managed to finish a respectable 6 items, including some skin, body and hair care items. 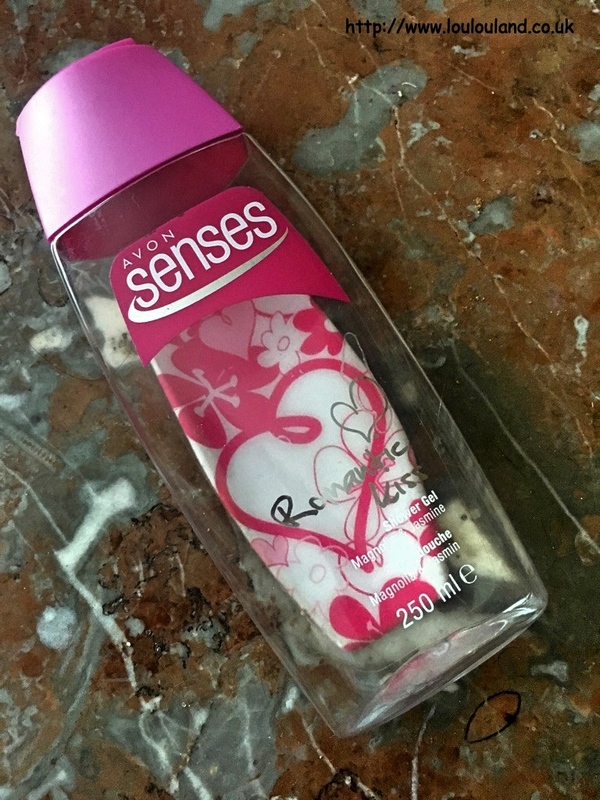 First up a shower gel, and one from AVON's popular Senses range. I've used quite a few of these over the years, and they usually represent excellent value for money with prices often starting as low as 99p. Like a lot of AVON products though the range is constantly changing, and they are forever changing and discontinuing products. Unfortunately I can't find this one in the current senses line but it was a pleasant floral scent, with just a hint of heady jasmine. This was probably more of a summer scent but it certainly made a change from the fruity and foodie scents that you normally associate with the festive season. You might have seen these socks in my recent Primark haul (Have a read here if you haven't seen it). It was Boxing Day and I was just starting to feel a little rough and drained and I felt like a pampering session was in order, so I stuck these socks on my feet and waited for the magic to happen! I'm slightly addicted to these foot peel things and I've used a quite a few different ones now, but these are the cutest I've used by far. 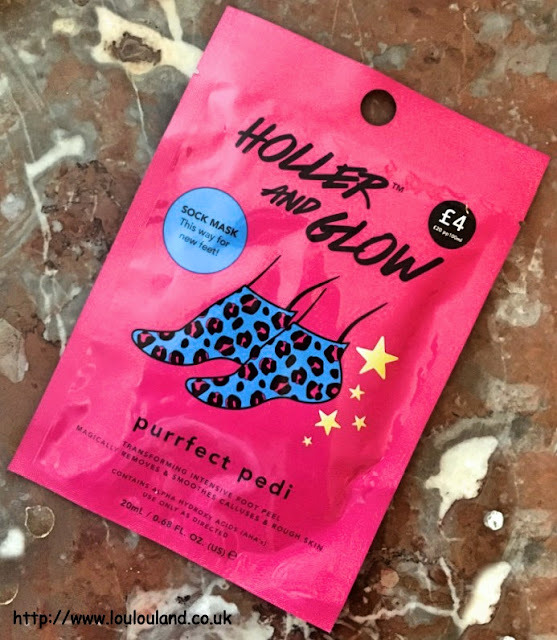 In a fab teal blue animal print, you stick these socks on for an hour and so and then you rinse your feet and get rid of all of that peeling solution and then all you do is wait for a few weeks, and then all of the dead and dry skin starts to peel off your feet. Mine are currently still in the peeling stage but these socks definitely did what they promised and I'll definitely by picking some more up on my next visit to Primark. You can do the treatment every six weeks or so and I'm determined to keep on top on my hobbit like, dry feet in 2018. Ahhh, a blast from the past and a product from deep with my stash. A few years ago I couldn't get enough of the French Connection FCUK Signature scent, and thankfully before it disappeared completely I stocked up on as many kits as I could, and I was lucky enough to receive a couple of bits from a former blogger that I was extremely grateful for. 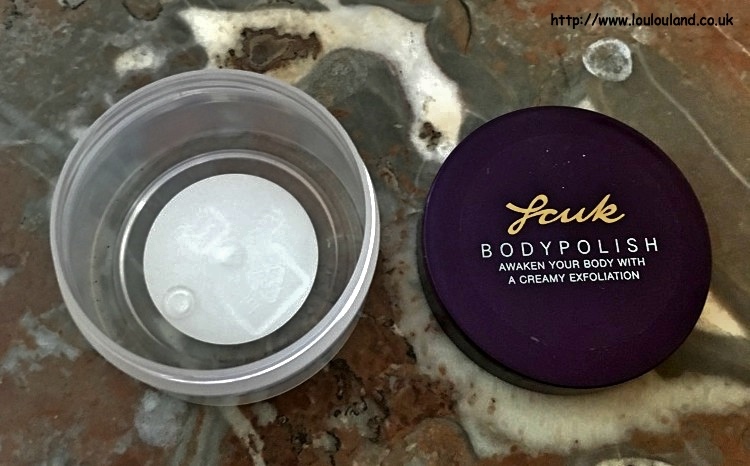 I still have a few shower gels, body creams, and body sprays in my collection but I think that this was the last of the body scrubs, and as much I love the scent I won't miss this particular item too much. 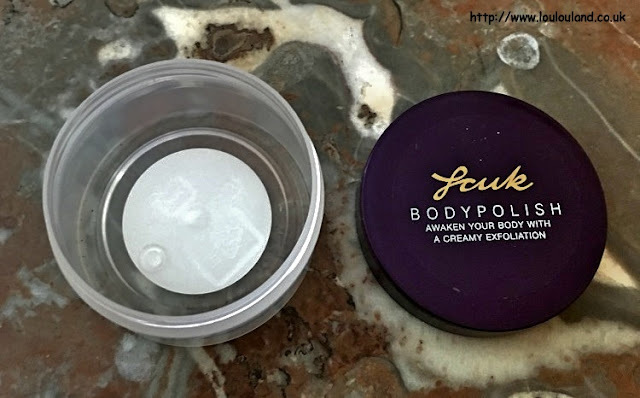 I love a nicely textured, scrubby scrub and this just wasn't it. It was a sort of liquidy cream, with the occasional nut based particle running through it. It was too runny and it wasn't abrasive enough for me. From a product that I didn't get on with to a product that I love beyond words. I'll hold my hands up, when I first used this product I didn't really get it but over the last 18 months or so it really has come into its own in LouLouLand. My hair to put it politely has been crap for the longest time, it has spells when it comes back to some realm of normality and then it just goes back to a weak, dropping out ball of frizz. 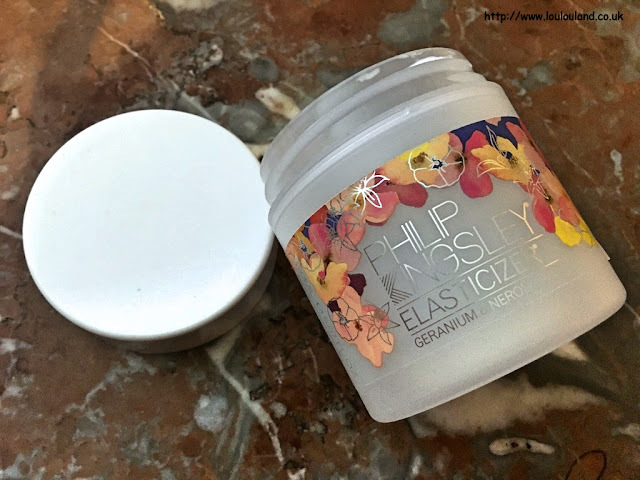 No this stuff hasn't given me that fabulous waving in the wind on a Cornish cliff top, beautiful hair that I crave but it has given it some of it's umph back. When I use this product my hair becomes more manageable, it's calmer and it seems stronger and less fragile. My hair still isn't anywhere near what I want it to be but this product makes a noticeable difference to my hair every time I use it and I even managed to get it coloured at the salon recently and that's something I haven't dared to do from sometime. It's a work in progress, and whilst I'm going to keep trying new things, and concentrating on taking care of my hair from the inside, this product in all of it's various scents is now a staple in my bathroom. Finally another hair product and this time one that is specifically designed for thinning hair. I'm not sure where I got this from, but the words hair loss, thinning hair and anti fall seem to draw me in a like a magnet at the moment. 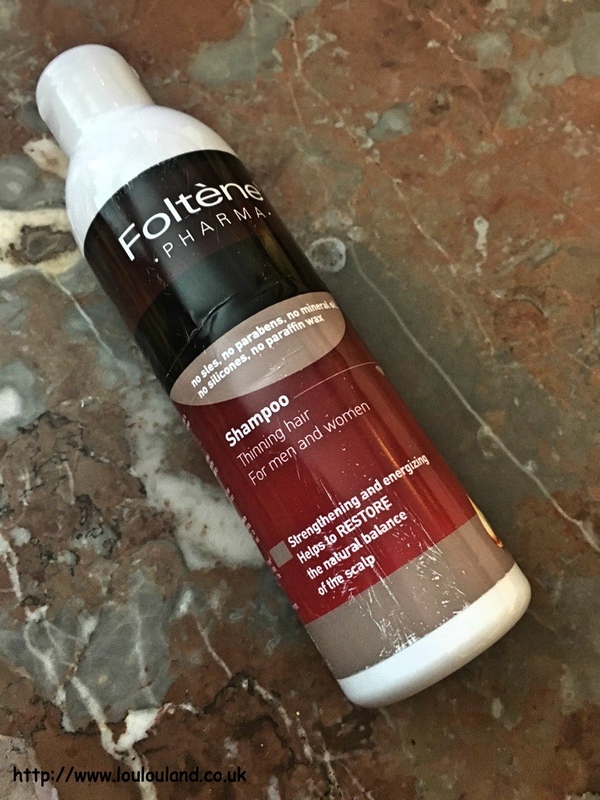 Designed to strengthen the hair and restore the natural balance of the scalp this shampoo had quite a distinct but not unpleasant aromatherapy type scent. Like most of these shampoos you wash your hair and then leave the products on your hair for a few minutes before rinsing. It was a nice shampoo but I didn't really notice a difference in the condition of my hair or my scalp and I definitely didn't notice a difference in the amount of hair that I was losing. I think that this product is designed to be used alongside the Foltene Hair And Scalp Treatment so maybe I would seen a bigger difference if I'd used the two products together - definitely something to try in the future I think but in the meantime I'm currently using the AVON Anti Fall range and I also have the Nanogen system to try. So in the final month of 2017 I managed to finish 6 beauty products, and when you add that to the rest of my monthly totals I managed to finish 70 beauty products in 2017. It sounds a lot on paper but in reality it was actually my worst year since I began this whole Trimming My Stash thing in 2013. Never the less I'm still pretty pleased with that total, imagine if you had to go out and buy 70 skin, hair, body and make up products, you'd need a quite a few shopping bags to carry it all home, so I need to put it into perspective and by positive about my achievement. I still have a long way to go though and I still have drawers and storage boxes groaning under the weight of my beauty stash so in 2018 I'm going to keep on trying to use up the products that I already have and I'm going to try and be a little bit more selective about what I do buy, and with any luck I'm be able to equal, if not beat 2017's total! Okay it's catch up time, and it's haul time. I know from the feedback that I'm getting from your giveaway entries that you love a haul, and a lot of you love nothing more than a Primark haul so in the interests of giving you what you want that exactly what I've got for you today, a late and all be it quite small, Primark haul. It seems like a lifetime ago since I was last in Primark, and in a lot of ways it was, this stupid virus seems to have sucked the life out of me, but thinking back to happier times, I did manage to go to Primark twice in December and whilst I didn't by a lot I did buy a few bits that you might still be able to get your hands on. This blouse was actually new in, and even though we probably still have a few more months of winter left to go, there are Easter Eggs in the shops and Primark is full of spring and summer florals. Way back in September of 2016 I bought a long line sleeveless blouse from Primark (you can see it here) and I fell in love with the floral and bird design, and whilst the print on the blouse isn't identical it's pretty similar. 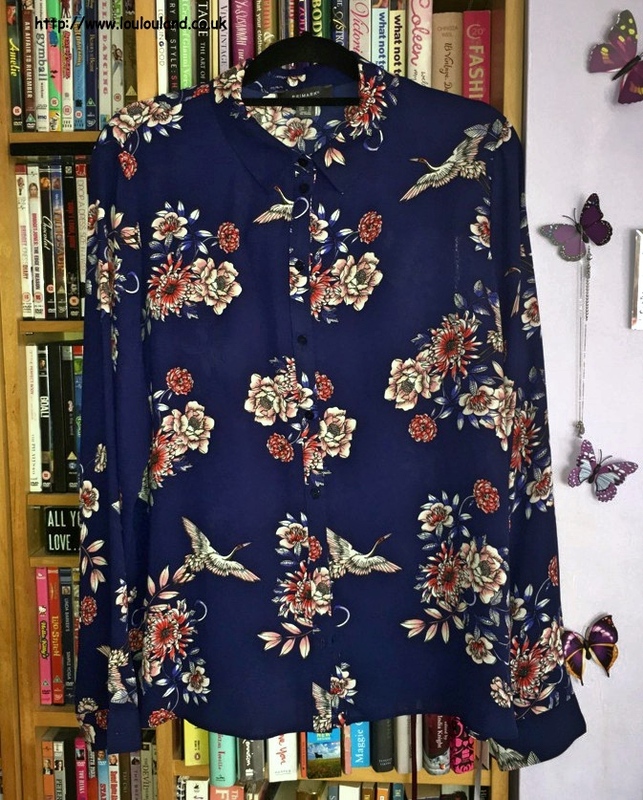 Featuring an oriental style floral, and crane print, this navy blue blouse is quite sheer, so I probably will need to wear a navy vest underneath it but again I love the print and given my love of shirts and florals it was a must have. 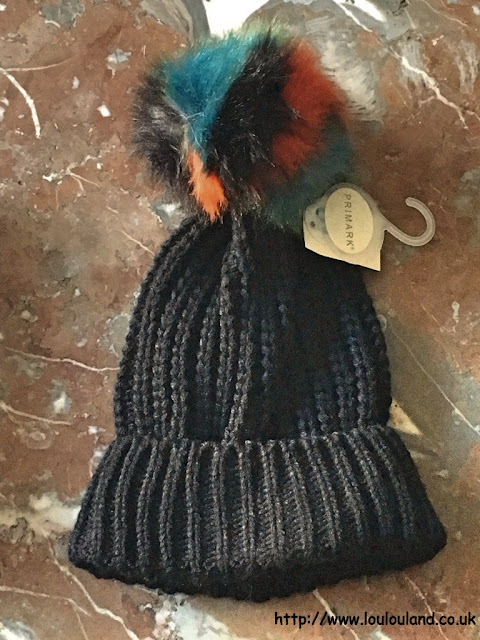 It was only £7. 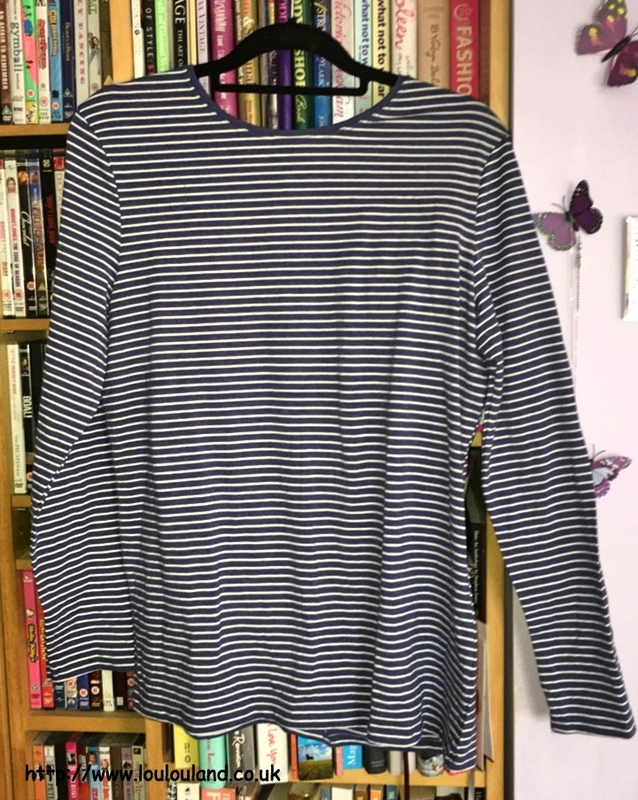 and I also got one of the Short Sleeve Stretch Crew T's in a navy blue and white Breton style stripe for £3. 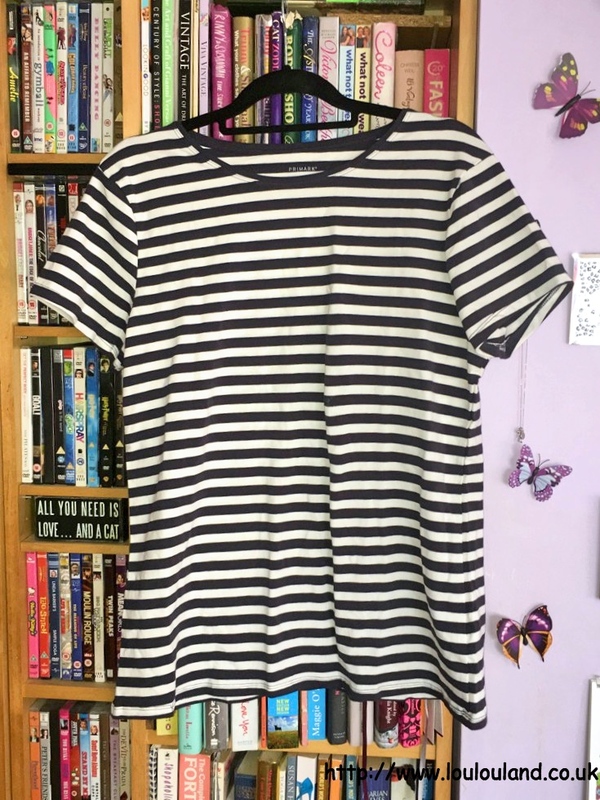 I've got quite a few of these t-shirts now and they've became a real wardrobe staple for me. They are nice and stretchy, and they are a good length and they are perfect for layering. I'm sure the price has gone up slightly but they are still great value for money. Something else that was great value for money was this pair of boots. After I wore my previous pair of black chunky ankle boots out I was looking for a replacement, and these boots from the As Seen In Glamour range fit the bill perfectly. With a working side zip fastening, these boots have a faux zip on the front, and faux pearl and stud detailing down the front. These boots have a nice chunky sole and good grips so they'll be perfect for the colder days that are still to come. 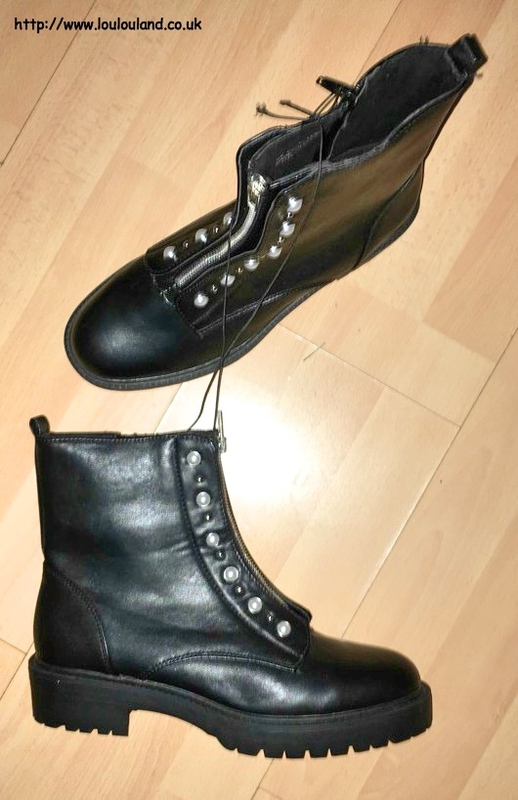 Even better still I got these boots for only £6! They had been £16 and they were just been moved to the sale rack when I went in - perfect timing and a great bargain! That's it for clothes, shoes and accessories but I did get a couple of jewellery pieces including another long line disc / circle necklace. 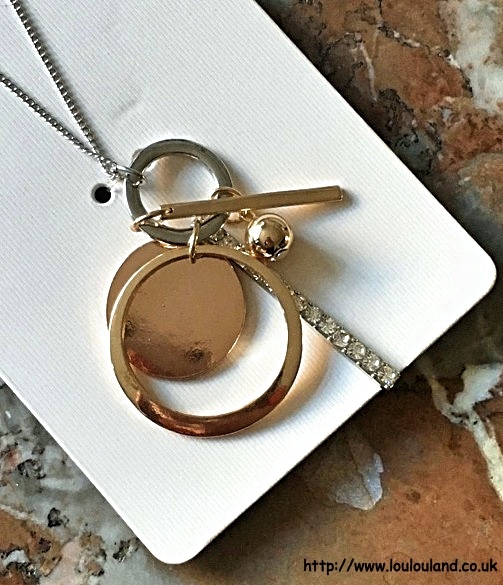 This one features both silver tone and gold tone pendants so it fits right in with the mixed metal trend. It features a combination of plain and crystal studded bars, circles and discs and it was only £2.50. 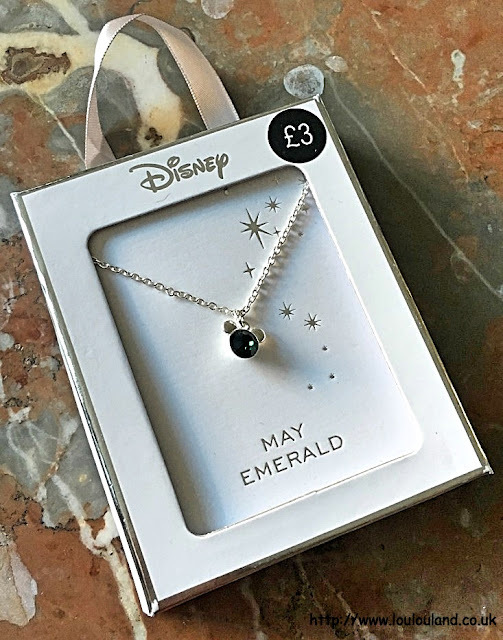 As much I love longer length and chunky necklaces, I'm also a big fan of more delicate pieces, and this one from Primark's Disney range was right up my street. 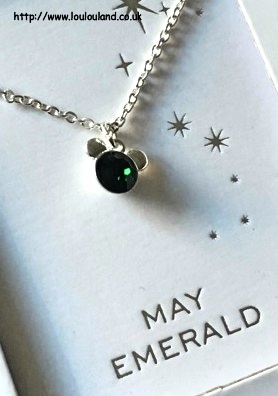 On a much shorter chain it's basically a Mickey Mouse head inlaid with a coloured stone representing a birthstone. I'm a May baby so mine is a deep green emerald, and as much as I would love this to be a real emerald, for just £3 I think this is probably just glass or crystal. 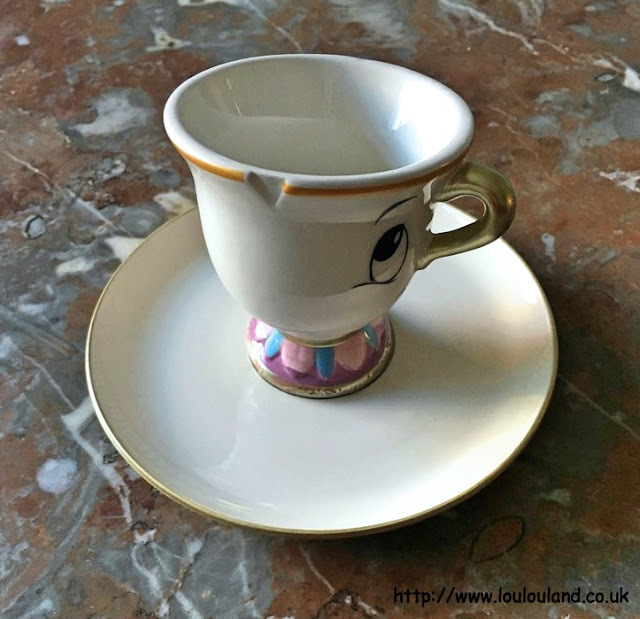 It's really sweet and I've got to say I'm loving all of Primark's Disney collaborations, and I'm particularly loving their Beauty And The Beast range. 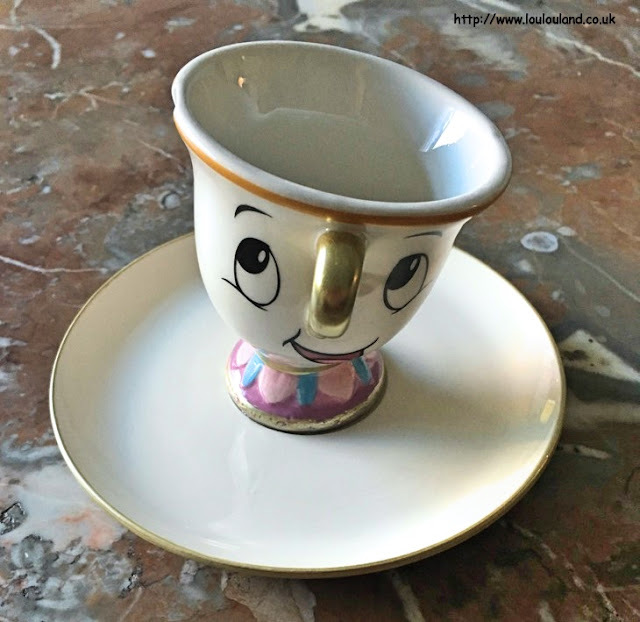 Beauty And The Beast is definitely one of my favourite Disney films and I've been loving all of the Mrs Potts and Chip pieces. 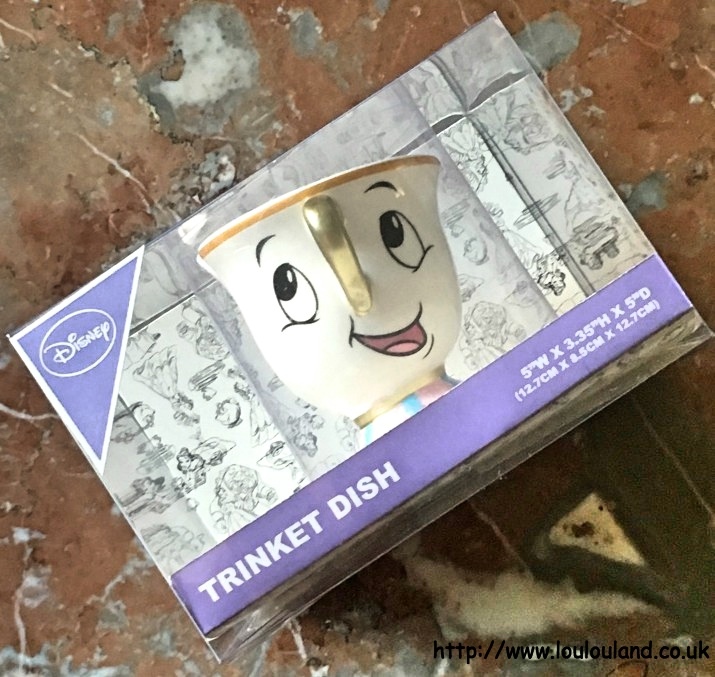 The proper teapot still remains elusive but I did manage to pick up this Chip Trinket Dish on my most recent visit. It basically a mini ceramic Chip mug which is attached to a ceramic saucer. It's perfect for keeping your rings and earrings safe, and you could even pop your change into it. This was £5 and like the other pieces in the range it's really nicely made. 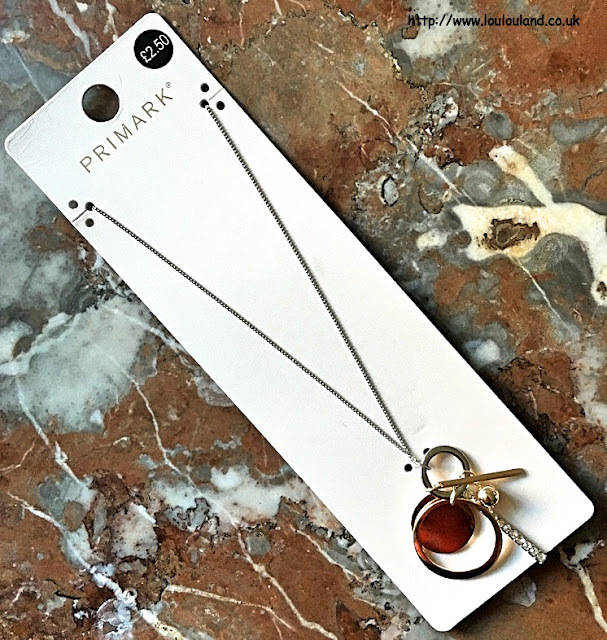 I know I've said this about a dozen times over the last year or so, but when it comes to beauty, Primark are really upping their game, and every time I go in they have something new to look at. Before Christmas I noticed that they were stocking a new range called Holler And Glow, which from what I gather is a skin and body care range that is exclusive to Primark. They seem to do a lot of sheet masks but I went for one of their foot masks. 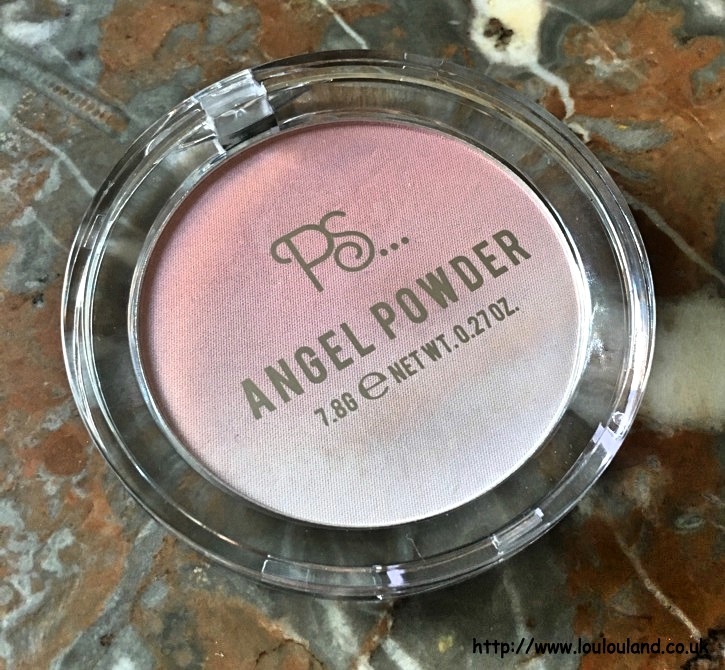 Next up a make up item, and I'm going to be honest and say that I'm pretty disappointed with this. I'm not sure what I was expecting in all honesty but this just didn't wow me. 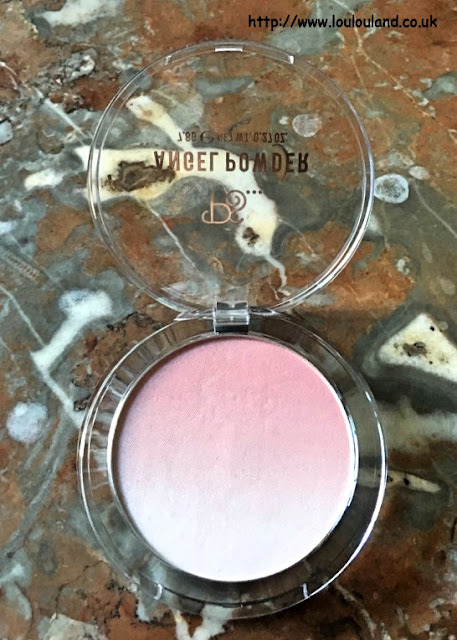 I think it was the silver glitter, outer packaging that drew me in, and the beautiful pink ombre of the powder. Take it out of the box though and your left with quite basic clear, plastic packaging without a sparkle in sight. 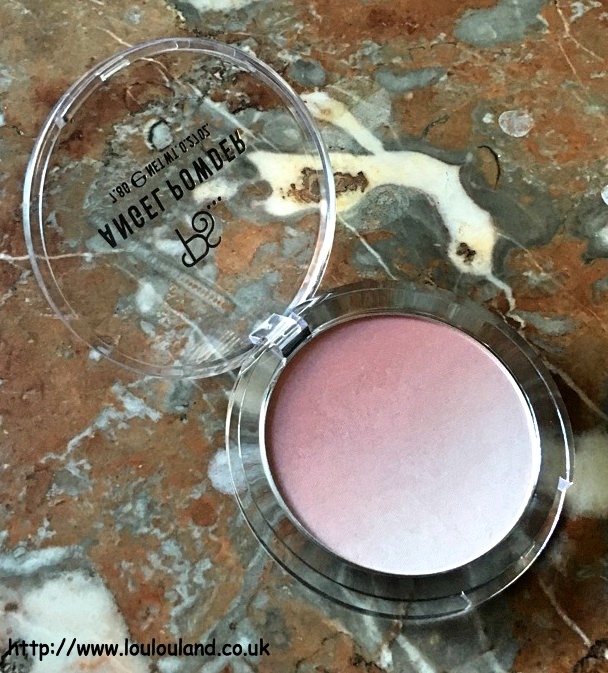 I don't know what I expected this to be, maybe a beautiful pink ombre, shimmery highlighter and blush, but what I got was something completely different. 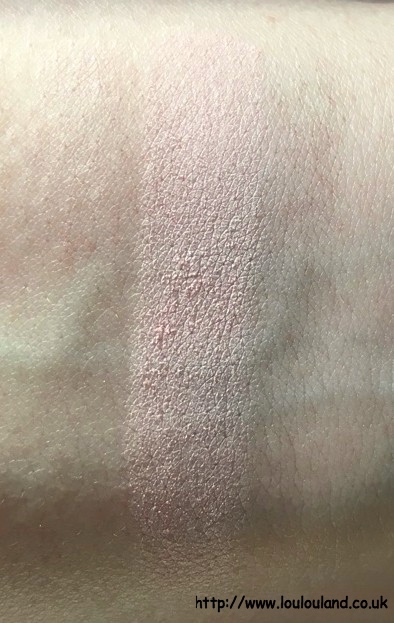 just a matte very pale white / pink powder. I know there is currently a trend for matte highlighters and illuminating finishing powders so maybe that is what this is. 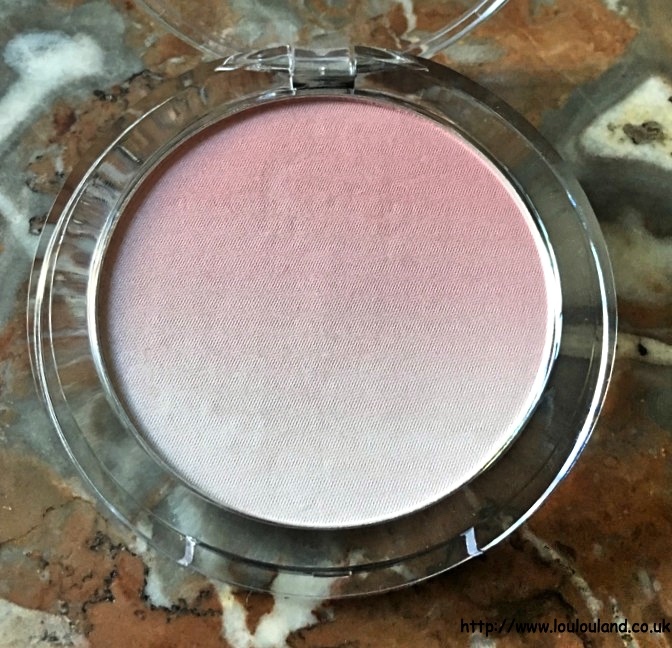 The pigmentation is fine and it feels nice and soft to the touch it just isn't what I thought it would be. That's why we need testers I guess, still it was only £3 and I'm sure I will find a way to use it. My final purchases were both cleansing wipe based; On my first visit I went into a mild panic because I couldn't find my favourite tea tree wipes ANYWHERE! 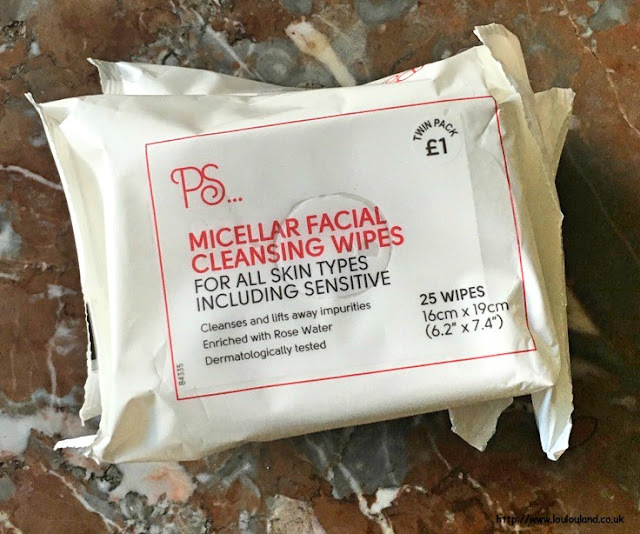 so I ended buying some of the PS Micellar Facial Cleansing Wipes For All Skin Types instead, and whilst I wasn't expecting a lot, over the last week or so these wipes have been a god send. 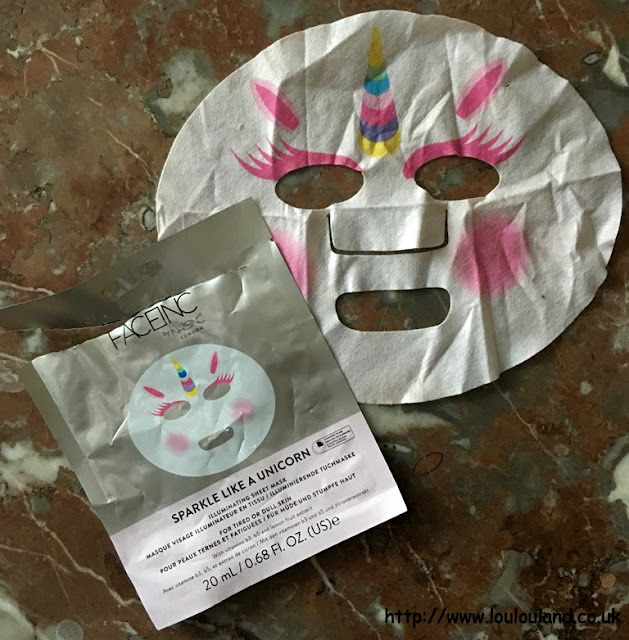 They are very gentle on the skin and they were quite soothing on my irritated and flu ravaged skin. 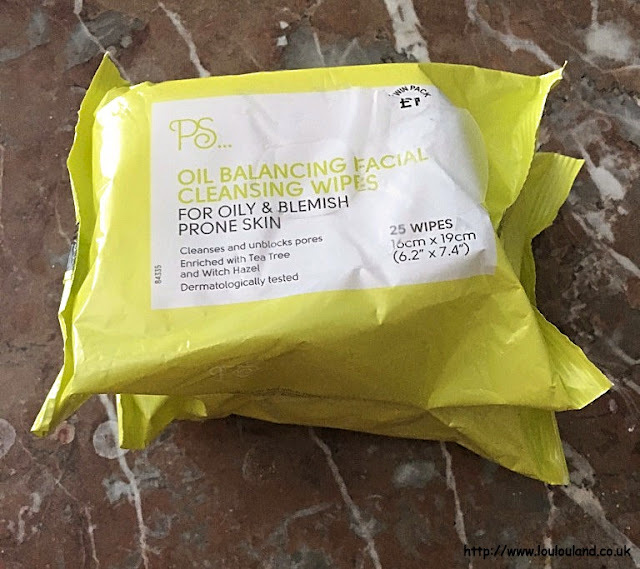 I eventually did manage to get my hands on some of the PS Oil Balancing Facial Cleansing Wipes For Oily & Blemish Prone Skin but I wouldn't hesitate to buy the micellar wipes again for emergencies. 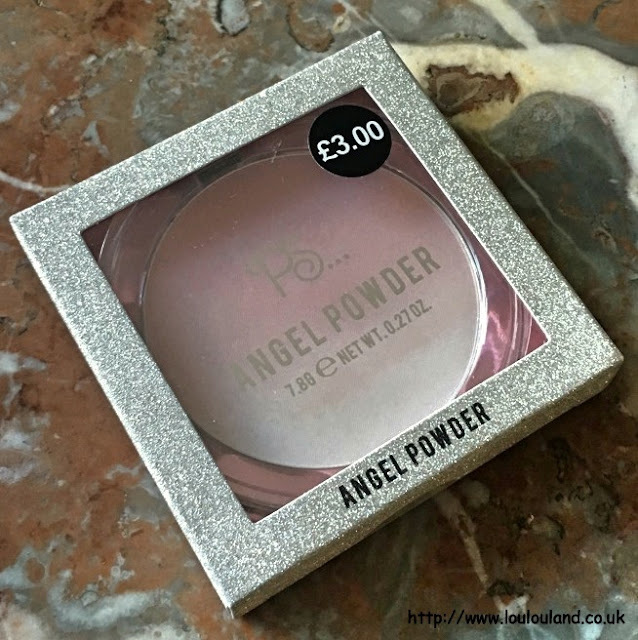 All of Primark's own brand wipes retail at just £1 for 2 packs of 25 wipes which is great value for money - I don't use them on my face that often but I wouldn't be without them now for everything from wiping sticky fingers to cleaning up make up swatches, they really are a must have for me. Well that didn't quite go to plan did it? It always seems to be the way with me every time I make plans, something always seems to throw a spanner in the works or in this case should I say a boomerang! You've probably all seen the semi sensationalist newspaper headlines but it does exist and me and several members of my family (including Mummy Lou :() have been stricken by the evil thing that is Australian Flu. So instead of blogging, making You Tube videos, enjoying the Christmas leftovers and of course celebrating New Years Eve, I've spent most of the last week and a half in bed surrounded by tissues, olbas oil and paracetamol! Although it's something that I've subscribed to in the past I'm not really a fan of that New Year, New You thing, I don't want to be a new person I just want to be the best person that I can, and to be honest I know what that entails, so as per usual I'm not going to make any earth shattering new years resolutions, it's just a bit of the same old, same old, lose a bit of weight, be more organised, save a bit of money and generally just be a nicer person and stop worrying about the little things in life and the things that I can't change. So instead of getting stressed out about the posts and videos that I've had to put on hold over the last few weeks, I'm going to start the year off as I mean to go on, obviously by being productive and by getting things done, but I'm also going to stop putting so much pressure on myself and I'm going to try and enjoy blogging again but without the stress, the pressure and the self imposed expectations. For the next week or so I'm going to be in catch up mode, I've got a few You Tube videos coming soon including some unboxings, a sale haul, and a Christmas pressie haul, and I've got a few blog posts in the pipeline as well including a late December Primark haul, a late Look Fantastic Beauty In Wonderland Advent Calendar catch up, and of course my December empties post and my 2017 Trimming My Stash totals.